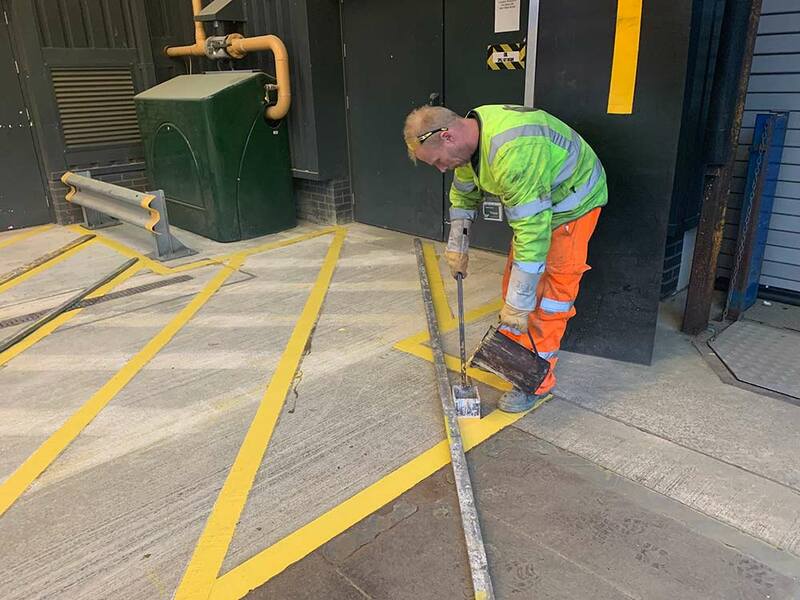 As with much of what we do, preparation is a key part of the work we undertake to ensure that the actual line marking is applied to a clean and suitable surface. 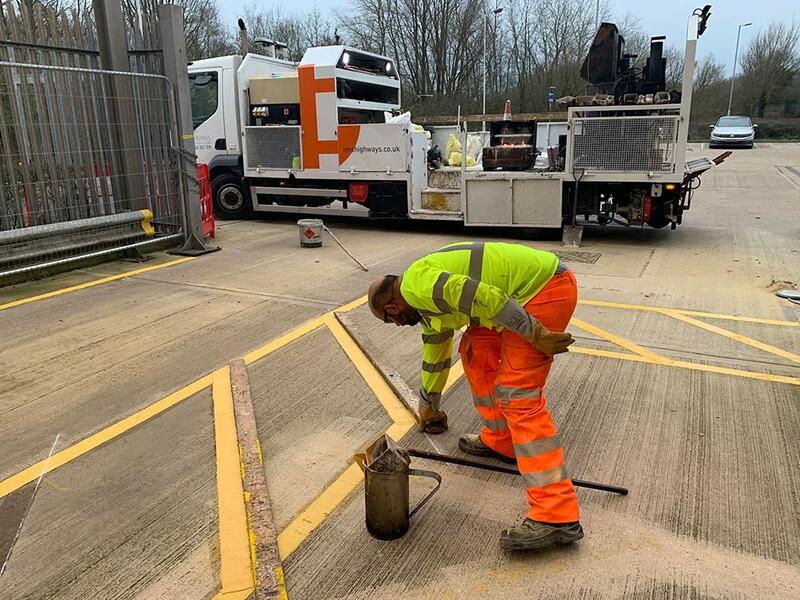 Upon arrival at the site it was clear that a reasonable amount of work to remove the existing MMA based lines would be required - this was achieved by the use of a scabbler which grinds down the existing markings to the concrete surface. 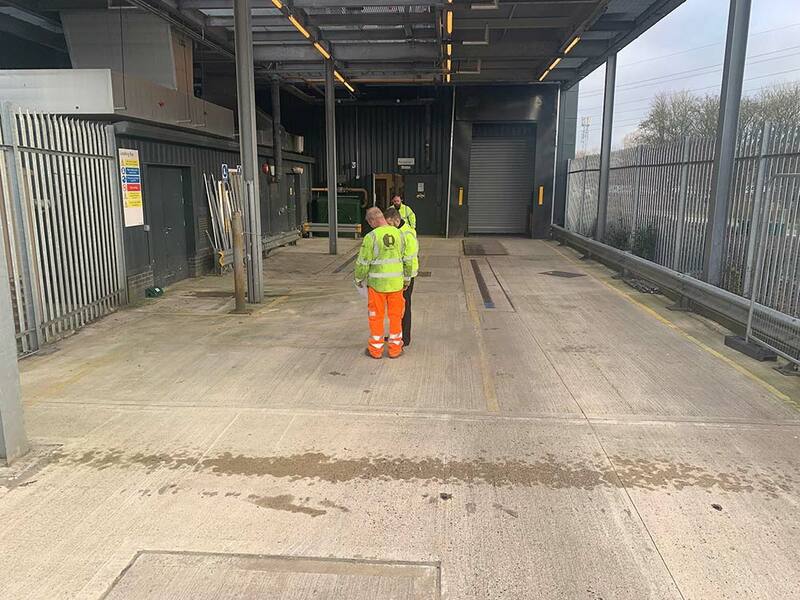 Upon completion of the scabbling, the waste was swept up and collected ready for the line marking process to commence. 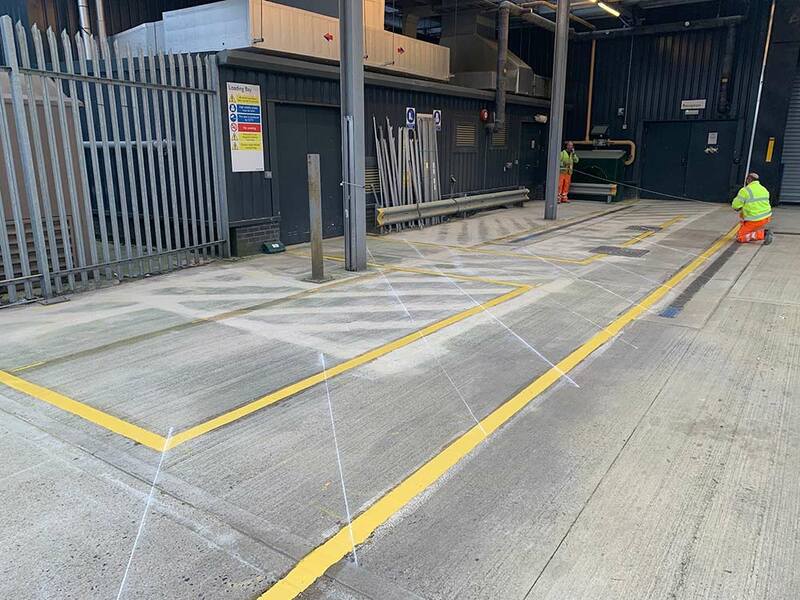 The customer had already decided that they required a different layout to the previous lines so once this was clarified to the exact requirements, our crew carefully measured up and applied chalk guide marks. 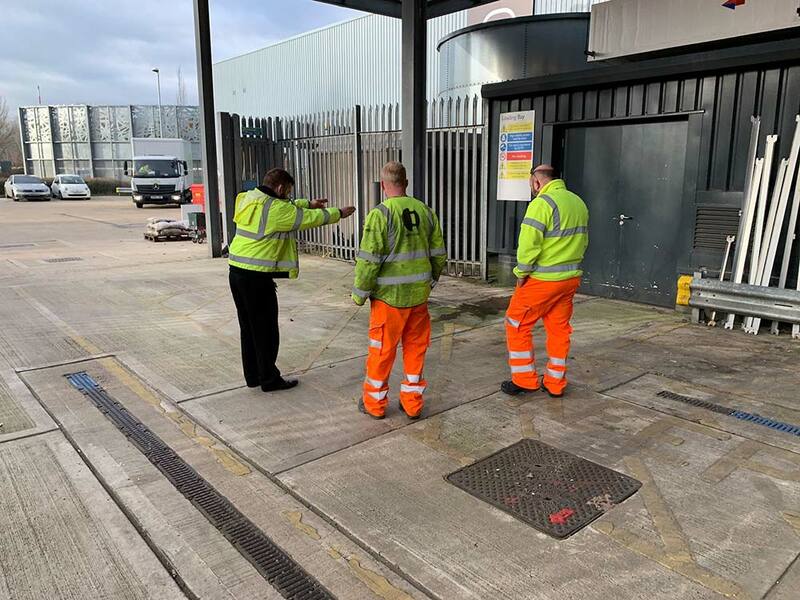 The team then applied a 'tack coat' to enable thermoplastic material to bind to the rough concrete surface securely. 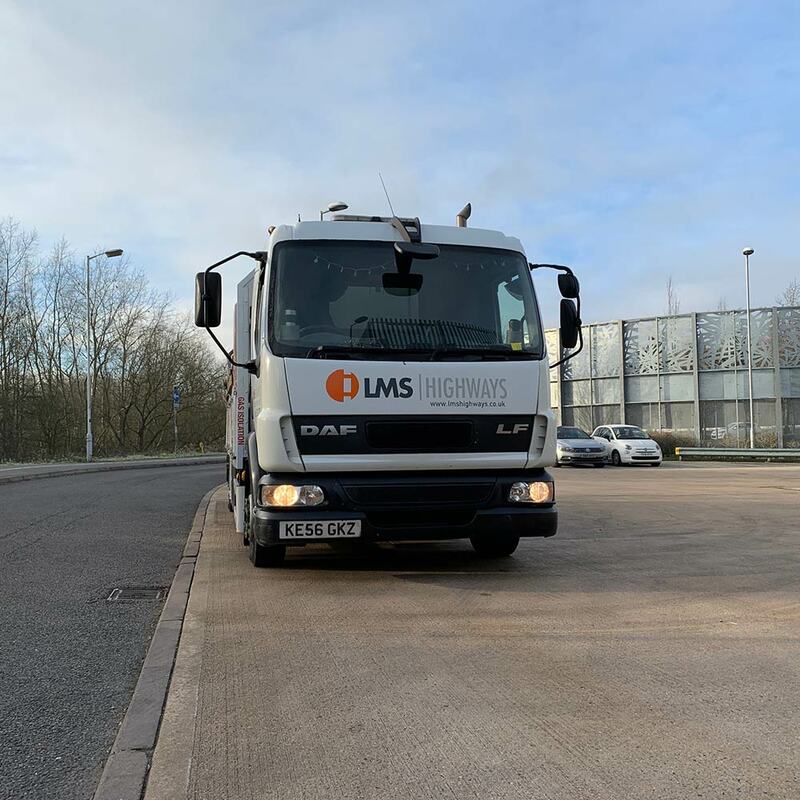 After this, it was just a case of applying the lines which was a relatively quick process after a lengthy preparation time. 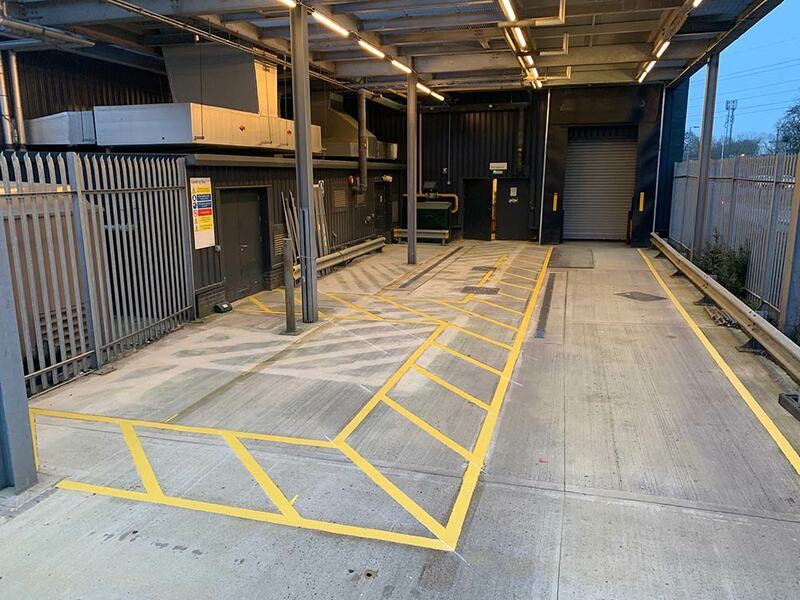 As you can see, the result is a clearly marked, safe and secure area for the store to receive deliveries. 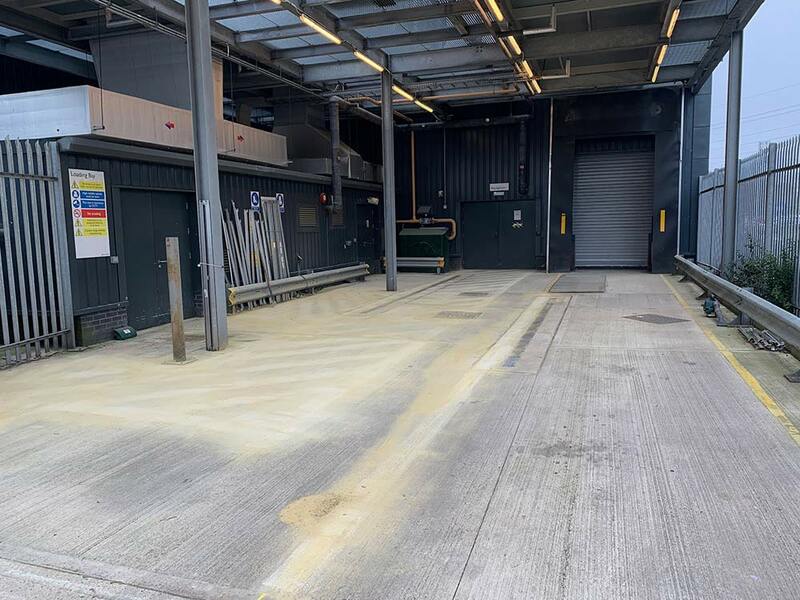 Work carried out January 2019 in Swindon.